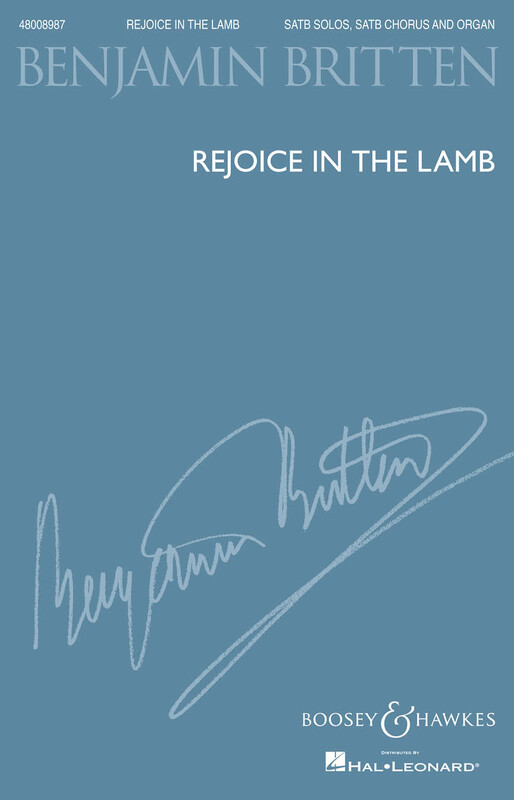 One of Britten's most popular and performed works in this genre, Rejoice in the Lamb was written for the 50th anniversary of St. Matthew's church, Northampton in 1943. The remarkable vicar, Walter Hussey, was a great patron of the arts. 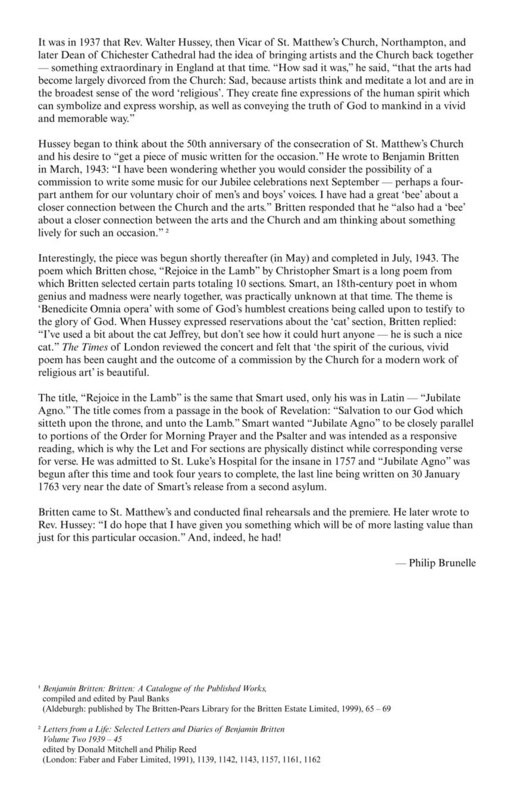 His vision for St. Matthew's and later for Chichester Cathedral, where he moved to become Dean, is one of the most fascinating stories in the history of the Anglican Church in the last century.Britten called his work a Festival Cantata and it is structured with choral and solo movements. 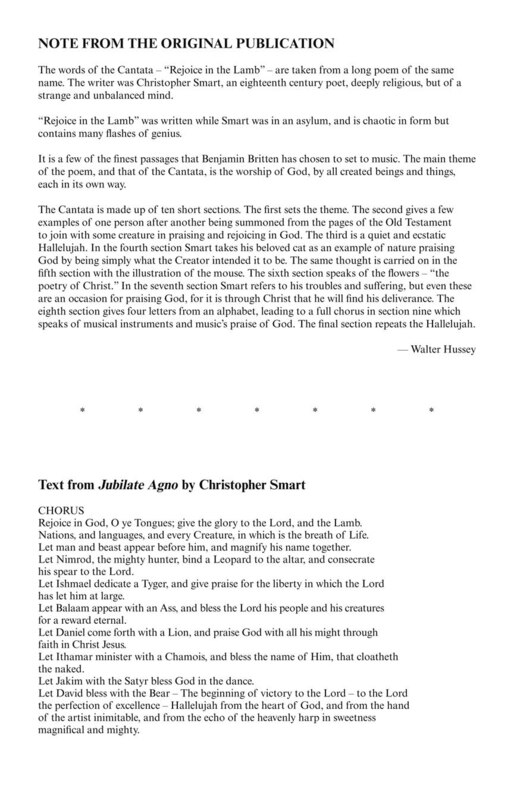 The text by the supposedly mad Christopher Smart (1722-1771) is part of a poem called Jubilate Agno which he composed in a mental asylum having been committed there by his father-in-law for apparent religious mania. He died in a debtors' prison. It was W.H. 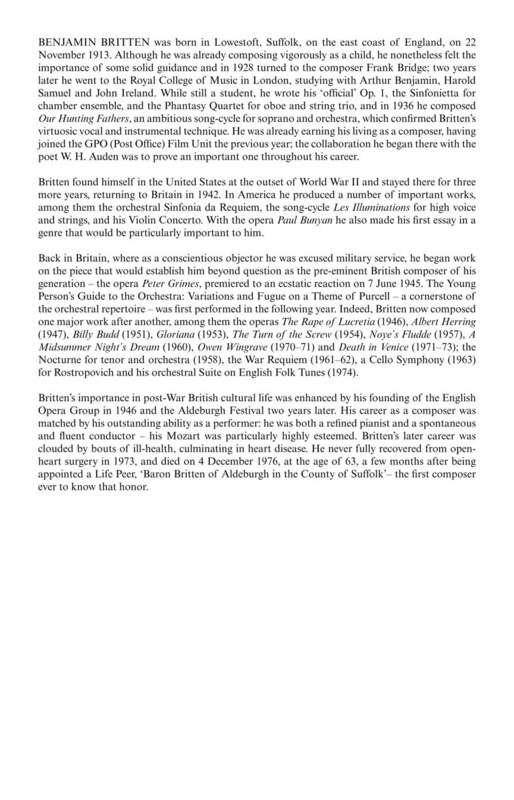 Auden who brought the poem to Britten's attention. It is easy to see why Britten was so attracted to Smart's poem. It has great colour, drama, bizarre imagery, and the central issue of the individual against the crowd, or against authority, was one to which Britten was to return repeatedly in his works. Britten had developed a deep interest in Purcell's music at this time and had made keyboard realisations of accompaniments for a number of songs which he performed with Peter Pears. 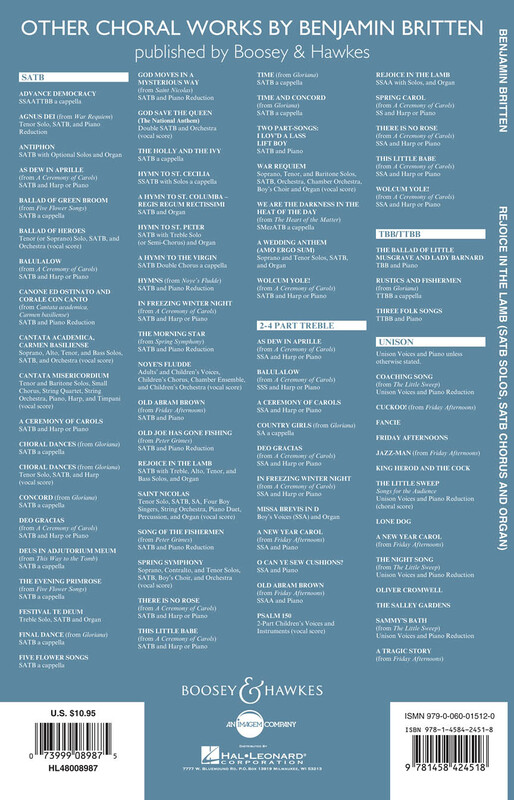 Purcell's influence can easily be heard in the Hallelujah sections. The challenges in this work are many and varied though the difficulty level is not great overall. It is an ideal concert work and is popular with performers and audiences alike. Practical issues include really quiet singing while projecting the voice at the start; dealing with the rhythmic complexities of the first quick section ('Let Nimrod the mighty hunter') and getting the most out of the words and the dynamic contrasts here; the unanimity of the dotted rhythms in the Hallelujah sections; the fielding of four soloists who can put across the character of these zany movements (the cat, the mouse, flowers); the realisation of the depth of passion in the 'For I am under the same accusation as my Saviour' section; the brilliance of the final quick section with all the bizarre musical instrument rhymes; and finally realising the 'stillness and serenity' of the slow music before the final Hallelujah. There is much to consider and much devil in the detail. 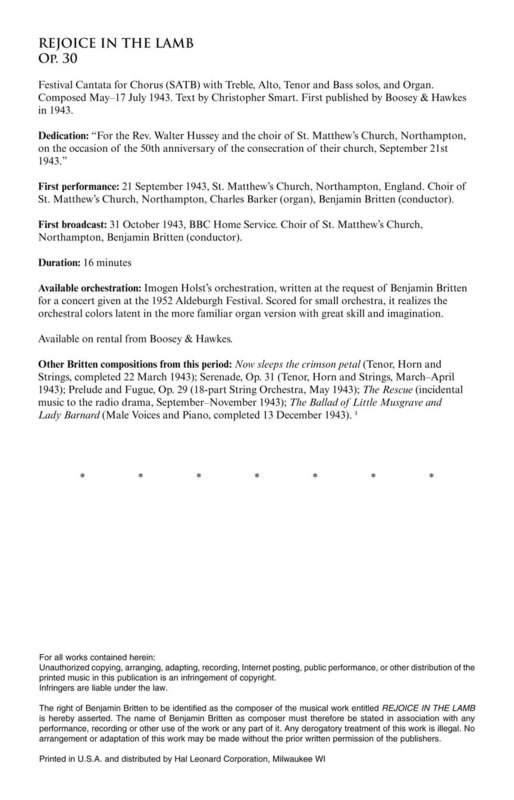 However, the work is emphatically worth any amount of effort to realise Britten's inspiration.